Some Alpha-Lipoic Acid Supplements Cost 13 Times As Much As Others -- But Is It Worth Paying More? Make sure the alpha-lipoic acid supplement you take passed our quality review and is right for you! Alpha-lipoic acid (also called lipoic acid) is an antioxidant that assists the body in the conversion of glucose to energy. Clinical evidence suggests it may improve insulin sensitivity and blood sugar control in people with type 2 diabetes, reduce symptoms of diabetic peripheral neuropathy, and enhance weight loss when dieting. However, it can be difficult to know which form of alpha-lipoic acid (R-isomer or "mixed" isomer) best suits your needs — and your budget! Our tests identified many high-quality alpha-lipoic acid products — containing their claimed amounts of alpha-lipoic acid. If they contained additional ingredients, such as herbs, we also tested for potential contamination with the toxic heavy metals lead, cadmium and arsenic. Among the products which passed our tests and were CL Approved, the cost to get 100 mg of alpha-lipoic acid ranged from just 3 cents to 41 cents. You can easily save a lot of money by shopping wisely! Some of the more expensive products were made with R-isomer-only alpha lipoic acid, which has both pros and cons. You must be a ConsumerLab.com member to get the full test results along with ConsumerLab.com's recommendations and quality ratings. 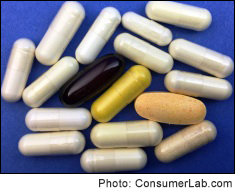 You'll get results for 19 alpha-lipoic acid supplements -- 10 selected by ConsumerLab.com and nine which passed testing in our voluntary Quality Certification Program, as well as information about three supplements similar to one that passed testing.